More than 40 REACH students from Atlanta Public Schools and Barrow, Coffee, Forsyth, Richmond, and White County schools participated in the inaugural REACH Georgia College and Career Exploration Summit at the University of North Georgia's Gainesville Campus in Oakwood. 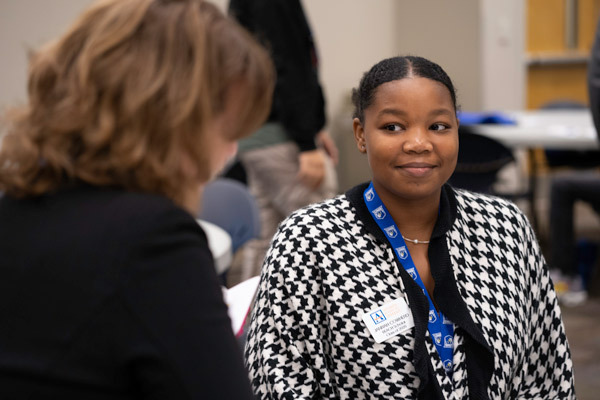 Realizing Educational Achievement Can Happen (REACH) scholar Alexis Weathers, 16, wants to be an orthodontist when she grows up, or maybe a physician assistant for a cardiologist. Either way, the 11th-grader at A.R. Johnson Health Science and Engineering Magnet School in Augusta, Georgia, plans to work in the medical field. Weathers was excited to hear Margaret Spratlin speak about her job as the outreach specialist with Longstreet Clinic, a primary care and multispecialty medical group in Gainesville, Georgia. Alexis Weathers, 16, was excited to hear Margaret Spratlin speak about her job as the outreach specialist with Longstreet Clinic, a primary care and multispecialty medical group in Gainesville, Georgia. "I was able to make a connection with her," Alexis said. "And she said she would be willing to help me." Providing REACH scholars the opportunity to meet and connect with employers in northeast Georgia was the mission of the inaugural REACH Georgia College and Career Exploration Summit on Nov. 1 at University of North Georgia's (UNG) Gainesville Campus in Oakwood, Georgia. 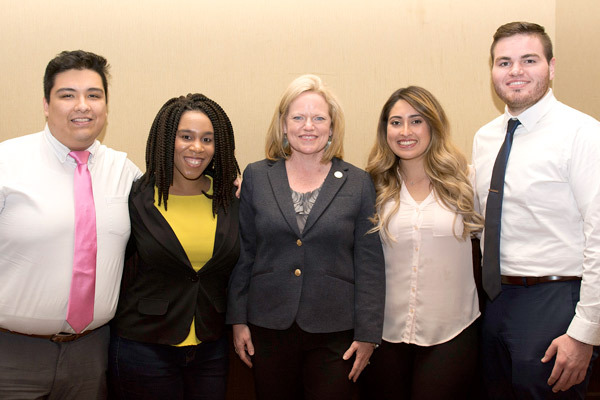 "The goal of the summit is to better connect REACH scholars in the region and around the state with individuals in career fields that will provide them with a good-paying job and higher quality of life," said Jennifer Herring, senior vice president of College Affordability Initiative with the Georgia Student Finance Commission. Helping link students to professionals were the sponsors: UNG, Lanier Technical College, Chick-fil-A and REACH Georgia program. 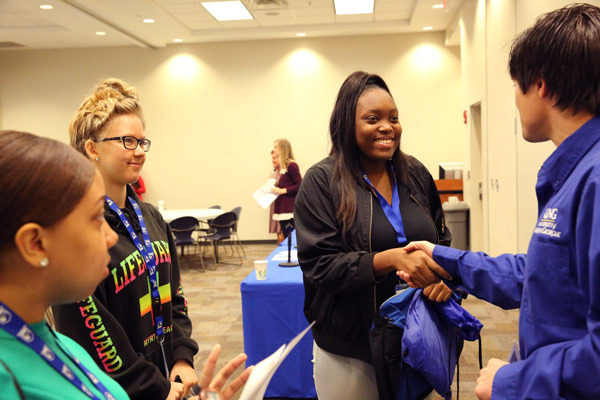 "UNG was proud to co-host this first summit for REACH," said Dr. Richard Oates, vice president of the Gainesville Campus. 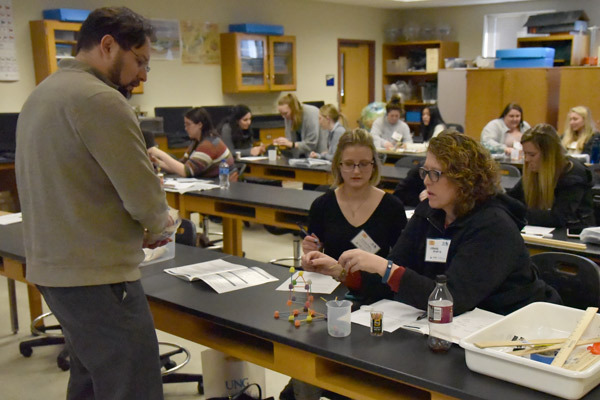 "We presented a college and career exploration event in the spring with our area business partners for middle school students in Hall County. Therefore, we had a blueprint to work from to create a similar experience for high school students." The high school students were selected as REACH scholars in the eighth grade and paired with a mentor. 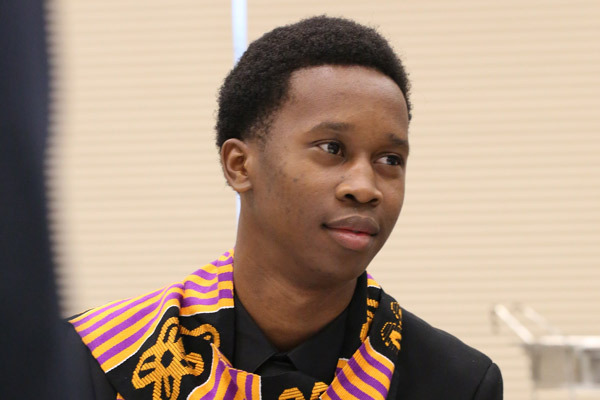 Upon graduation, qualifying REACH scholars are awarded financial scholarships. REACH Georgia is a needs-based mentoring and scholarship program providing promising students the support to graduate from high school and achieve post-secondary success. More than 40 REACH scholars from Atlanta Public Schools and Barrow, Coffee, Forsyth, Richmond, and White County schools attended the summit. 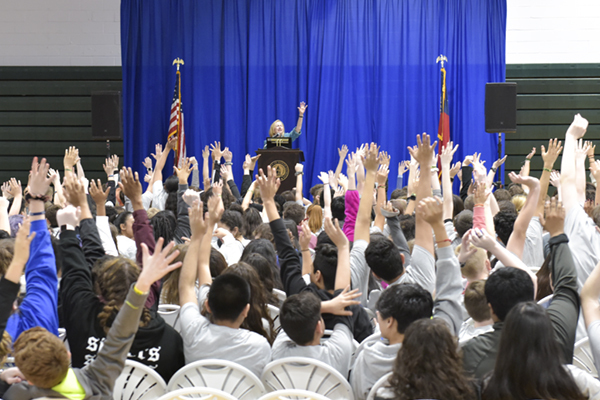 During two morning sessions, students met with employees from AT&T, City of Gainesville, Georgia State Board of Pardons and Paroles, Jacobs Media, Lanier Islands resort, Longstreet Clinic, and Wells Fargo. During lunch, they peppered current UNG students with questions ranging from "What is your hardest class?" to "Why did you choose UNG?" 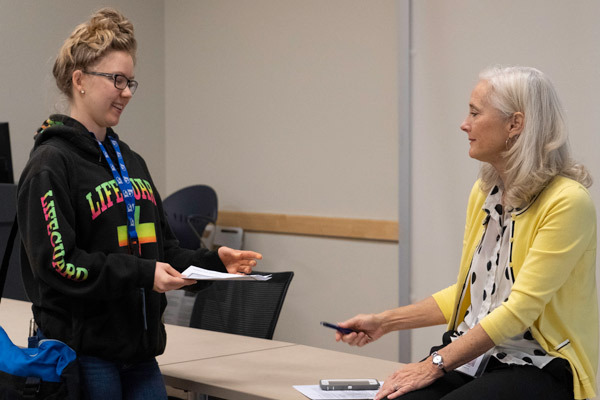 While the students were actively engaged in the question-and-answer session with their college-age counterparts, they appeared to quietly absorb the information from the business professionals earlier in the day. "I liked the breakout sessions," said Kameron Jenkins from Daniel McLaughlin Therrell High School in Atlanta, Georgia. "They went into detail, and we were in smaller groups." Kameron Jenkins from Daniel McLaughlin Therrell High School in Atlanta, Georgia, attended the inaugural REACH Georgia College and Career Exploration Summit on Nov. 1 at University of North Georgia's (UNG) Gainesville Campus. Janiyah Cowherd, an 11th-grader at Carver Early College in Atlanta, Georgia, attended the inaugural REACH Georgia College and Career Exploration Summit on Nov. 1 at University of North Georgia's (UNG) Gainesville Campus. Janiyah Cowherd, an 11th-grader at Carver Early College in Atlanta, Georgia, said her eyes were opened to the multitude of job possibilities. "I didn't realize graphic design can be applied in several different businesses," the 16-year-old said. Knowing about options in different fields of study can help students pick a career pathway. And helping students at least select a college major was another goal of the summit. 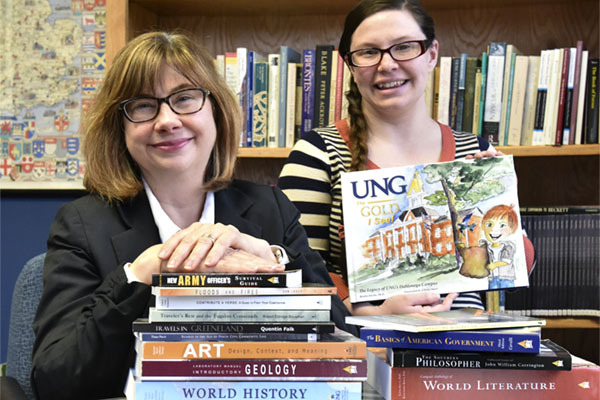 "Students who have declared a major have a higher level of success versus going in undecided," Herring said. However, state REACH spokeswoman and UNG sophomore Laura Vinson assured the students the major or pathway they select as freshmen is not etched in stone. She said she has changed her major five times, which is a fairly easy process. The 20-year-old majoring in sociology from Clayton, Georgia, also encouraged the students to take advantage of the REACH scholarship. "Because of the REACH, I did not have to take out any student loans," she said, with applause following. Herring applauded the success of the first summit. "It was phenomenal," she said. "I think our scholars were excited to be here at UNG. For many, it's their first time being on a college campus."